Today was a business day! I bought a logo today! I put a deposit down to design a professional logo for my massage business! I will be getting a domain name soon too. I am super excited to have a logo, a brand! I had a BNI one to one with a web designer she was super helpful and interested in my business. She will be bringing me samples at this week’s meeting. I also am a Beach Body Coach and Young Living Essential Oil Distributor! I want to have more time with my family but I can’t “build” 3 businesses and since my forte is massage I decided to “go pro” with that. I will keep the others in my back pocket but my focus is massage! It’s time for me to move to the next level with it. My next adventure with massage is to expand. I have a plan to start doing on-site massage. 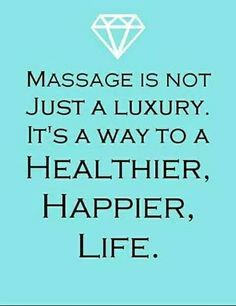 If I can get some contracts with businesses to do seated massage for their workers, I can keep all the profits and then hire employees to go to the sites to give the massage. I will have the opportunity to train and mentor other massage therapists and also have a residual income when I get older and don’t want or can’t continue massage! That’s the theory anyway! I am hoping and looking to grow my business and increase my income, help people who are stressed at work and help other business owners offer an extra benefit to their own employees and increase morale and productivity in their office! I want to spread stress relief! I am hoping my new logo will help start a revolution to destressing, help business owners take care of their employees and teach my children hard work and professionalism pays off! I am so excited for this but need to remind myself not to get too big in my head before I have my plan in place and stay focused. I am pretty sure I have written about this before, I want to be synonymous with relaxation and de-stress and calm. I want to be the highlight of people’s day! I know I am the highlight of my Husband’s day! Time to give him some of my attention!